The Rattlesnake Avoidance Clinic is sold out. Thank you for your support! All proceeds benefit the Douglas County Sheriff’s Office K-9 Unit. Rattlesnakes bite thousands of dogs each year in the U.S. Many suffer immense pain and trauma from the venom; some even die. Non-guaranteed treatments to save dogs from rattlesnake bites can cost up to $3,000. Avoid all of that by enrolling your dog in our annual Rattlesnake Avoidance Clinic and provide a meaningful donation in the process! Our training clinics are conducted in a safe, humane and controlled environment ensuring the safety of your dog, people and the rattlesnakes. We have found the best way to teach a dog to avoid rattlesnakes is to use live rattlesnake specimens that have been neutralized so that they cannot bite. The snakes are placed out in a field setting. The dogs are fitted with an electronic training collar. The dog is led through the field (by the trainer) and allowed to encounter the rattlesnakes. The dog is stimulated using the electronic collar. Unfortunately, the K-9 Rattlesnake Avoidance Clinic is sold out. 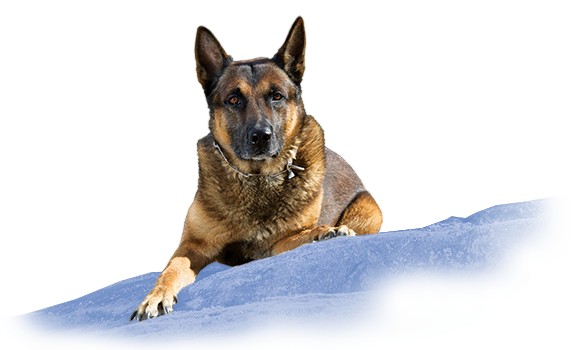 You can still contribute to the K-9 Unit by making a one-time donation.